We are proud to announce that Spanish Walk Community Association has selected Tinnelly Law Group as their associations’ legal counsel. 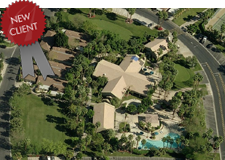 Spanish Walk is a gated, master planned community with condominiums and single family homes. The community amenities include two pools and spas, fitness center, playground areas, billiard room, beautifully designed clubhouse with an equipped kitchen and large greenbelt nestled in Spanish style architecture and landscape. Our HOA attorneys and staff look forward to working with Spanish Walk’s Board and management.